To choose Florence as your wedding location means to be fully surrounded by art and beauty in one of the most sought-after places in the world. Thanks to its rich historical heritage, Florence offers a wide selection of venues to choose from: whichever your wedding style, your expectations will not be disappointed. You can say “I do” in the beautiful Sala Rossa of Palazzo Vecchio or in one of the many frescoed churches of the city centre. Or choose the charm of the gardens of a historical palace, the grandeur of a magnificent Medici villa, or a romantic hilltop castle; all make for splendid locations for a fairy-tale wedding reception. Thanks to its stunning views, Florence is the ideal photo set anywhere you stand. And if you choose to celebrate your wedding here, then you cannot miss Piazzale Michelangelo, where you can take a shot with the iconic panorama as the backdrop. 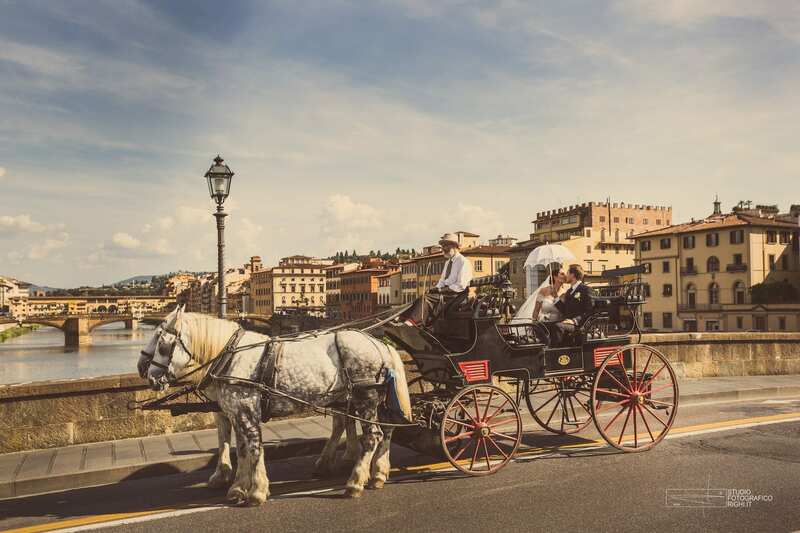 Elected as the destination wedding location par excellence by couples from all over the world and celebrities alike, Florence will never be out of style.